Hi, everybody. It has been another wild and woolly week that has just flown by. 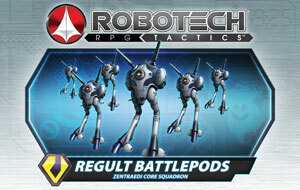 We've mostly been working on Rifts® Megaverse® in Flames™ and Robotech® RPG Tactics™. The former is coming along nicely, though a bit slower than I would like, and the latter is just about ready to go into manufacturing. I expect to sign the work order tomorrow. I can’t put into words how happy we are to finally have Wave One going into manufacturing. We’d throw a party if we weren't so busy. Only two left. This is the second from the LAST of our special Spring Cleaning Sales, so take advantage of it while you can. We are doing the sales because we need to rearrange the Palladium warehouse to make space for Robotech® RPG Tactics™ coming in a couple of months. And by space, we mean what we now estimate to be 5 semi-trailers worth of space, plus a staging area. And with several new books being released, we want to create excitement about the entire Palladium Megaverse®. We thought we could kill two birds with one stone to create buzz and clear space in the warehouse with a series of six Spring Cleaning Sales! Each sale of select items is limited to just ONE week. Next week’s new Weekly Update will announce the LAST new week long sale running from Thursday (the date of the initial announcement) to the following Thursday evening. Enjoy this new, week long sale while you can. It’s the second from the last. Each sale lasts only ONE WEEK. 50% discount on all listed items. ONLY the items listed are on sale. We are planning a total of SIX sales. Each sale will be different for the week. There will be no extensions of the sales. Only “in stock” items are part of these sales. If a low stock item runs out during the sale, it can NOT be placed on back order at the sale price. Each sale is limited to the specific items listed in that offer. No substitutions or back orders. LIMITED TIME OFFER! One week. No extensions. Spread the word and create some buzz with each new sale offer. We want to create excitement among our fan-base and attract new gamers to the Megaverse® that is Palladium Books. I've been putting in a lot of time on Rifts® Megaverse® in Flames™ and had a good conversation with author Carl Gleba Wednesday evening. In fact, Megaverse® in Flames™ is so good that I can hardly wait to look at Carl’s next manuscript, already sitting here. 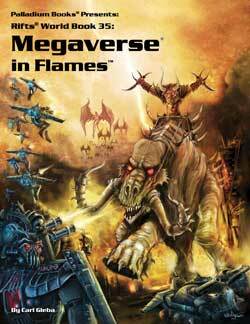 Megaverse® in Flames™ is another book that is just jam-packed with settings and ideas for adventures and conflict for your gaming enjoyment. I’m loving the many wonderful ideas from Hell Pits and Hell Plagues to Hell Lords and Soulmancy, to the legion of monsters, magic and gear. I’m really enjoying everything I’m working on in this manuscript. A June release is still looking good. 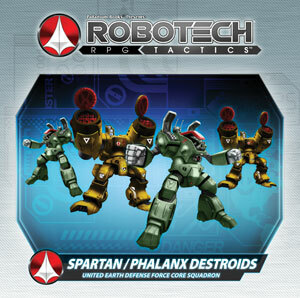 Btw, Carl Gleba (Minion War™ series and many other titles), Carmen Bellaire (Robotech® RPG Tactics™, Splicers®, others), Brandon Aten (Triax 2, Madhaven) and other Palladium creators will be available at Gen Con Indy to chat, sign books and even run some games, so make sure you swing by the Palladium booth, #1223. 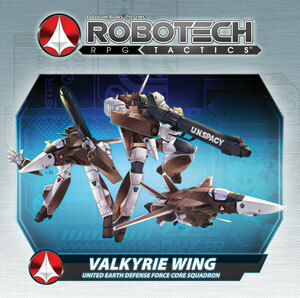 We've been making final tweaks and adjustments to the packaging for the main box game as well as the expansion kit packaging, double-checking every detail and quantities, getting approvals from Harmony Gold, and trying to nail down delivery schedules for Robotech® RPG Tactics™ Wave One. Very, very exciting. We should have solid details for you in a week or two, but this hotly anticipated game line is about to go into manufacturing. We think you’ll find it quite enjoyable. Rifts® Northern Gun™ Two continues to get positive buzz and put smiles on faces everywhere. We’re all delighted everyone is enjoying the book so much. The Rifts® Northern Gun™ Two HARDCOVER Editions – exclusive to select Megaverse Insider backers – will see a slight delay. Somehow the printer ran short of the lithocase covers (the color hardcover) and has to print some additional and slot them back into the bindery schedule. They apologized repeatedly (this has never happened before) and the arrival of the books to our warehouse should only be delayed by 3-5 days. So instead of them arriving at the Palladium warehouse around June 10th, they’ll probably arrive sometime between June 13-16. As always, we will process them as quickly as possible and ship them out, but we do have to sign around 400 copies (of both combined), and put together the various Megaverse® Insider combo packages. Julius and Alex have already done a lot of prep, with a wall of 200+ boxes already built and waiting for packing and shipping. IMPORTANT! Your current and correct mailing address. If you have moved during the last year or so, PLEASE call the Palladium office (734-721-2903 order line) to make certain we have your current and correct address. REMEMBER, we only printed enough copies to fulfill the actual order printed, plus a few dozen extra to cover lost or damaged books. There are very few to spare. If you do NOT make sure we have your correct address, your super-limited edition book may not be able to be replaced. Thank you. The week was so crazy hectic (Wayne and I worked till 9:30 or 10:00 PM twice so far this week, and tonight seems likely to be another long night), that Wayne has not had a chance to start making selections for the summer issue. Yet. Will probably do so this weekend. And then the art will be assigned and editing begun. I’ve assigned a few pieces of artwork and need to send out all the rest. Another dynamic, fun title. A summer release. I need to finish assigning the artwork for this too. Probably an end of June or early July release. Wayne will continue to add a couple issues of The Rifter® to the 90+ PDF products available on DriveThruRPG.com every week or two for your enjoyment. Amongst the 90+ Palladium RPG books already available are Splicers® RPG, the original Rifts® RPG, The Rifts® Coalition Wars®/Siege on Tolkeen series, the Rifts® Game Shield, the original Rifts® Vampire Kingdoms™ World Book, the original Beyond the Supernatural™ RPG, first edition rules and sourcebooks for the Palladium Fantasy RPG® and Heroes Unlimited™, The Rifter® issues 1-54 (with new ones being added starting this week) and many others. 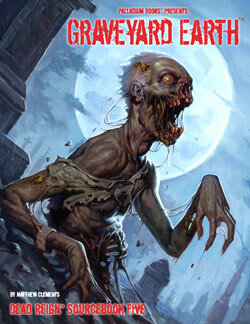 There are also FREE previews on DriveThruRPG.com for Rifts® Northern Gun™ One and Two, Rifts® Vampires Sourcebook, Rifts® Vampire Kingdoms™ (Revised Edition), Rifts® Black Market, Rifts® Lemuria, Dragons and Gods™, Dead Reign™ RPG, Endless Dead™ sourcebook and others, too. Plus there is special Game Master supplemental material by Carl Gleba and Julius Rosenstein (character sheets, tables, tips and more) and we plan to add more G.M. material and other sneak previews. COMING SOON: Fantasy paper miniatures designed and created by “Madman” Mike Leonard, so check out all the goodies on DriveThruRPG.com. We have added some new collectibles and out of print titles to my online store, including a couple of printer proofs of Palladium Fantasy RPG® and Heroes Unlimited™ 30th Anniversary Hardcovers, and some other odds and ends. I’m still thinking about which Chuck Walton original pencil illustrations I want Alex to put into the store. We’ll keep adding items as supplies allow, and as I find other odds and ends as we do more spring cleaning and reorganization. As usual, there are out of print titles, redlined proofreader photocopies signed by me and the staff, signed manuscripts with editors’ corrections, some original art, hardcover books (including Rifts® Northern Gun™ One) and other items you’ll enjoy. There are also hundreds of toys and action figures, all from my personal collection. All items in the store are from my own personal archives and collection. Take a look every few days as new items are added. There may be some items that are perfect for upcoming birthdays and anniversaries. I did a video interview for Cowabunga Corner with its wonderful host, Michele Ivey. Cowabunga Corner is a Teenage Mutant Ninja Turtles® fan-site of some renown, and it is full of interesting interviews about the Ninja Turtles and their creators, actors, voice actors, toy makers and other people involved with TMNT over the last 30 years. Very cool. I hope the interview went well. Michele is, arguably, the foremost Ninja Turtle authority. I was more than a bit distracted with my thoughts deep into Megaverse® in Flames and Robotech® RPG Tactics™, so I don’t think I was my usual bouncy or sharp self. Nor do I believe I was looking into the right video camera. It was fun and the ladies behind Cowabunga Corner said the interview was excellent. So did Jeff, who overheard parts of it as we were filming. I couldn't believe how I flubbed one of the promo lines several times. It was frustrating and embarrassing for me, but Michele and Miki said one or two of my flubs would make it into a blooper reel. Funny. FYI: My interview will probably not appear until the end of 2014 or early 2015 (their new season of interviews). 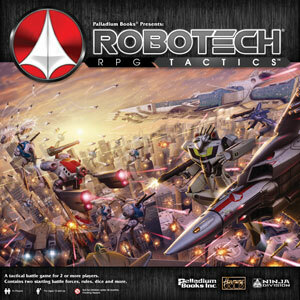 It’s been a very busy and exciting week as we work with Ninja Division to get Robotech® RPG Tactics™ Wave One products into manufacturing. We’re double-checking everything to make sure there are no surprises once it goes into manufacturing. But the week was unusual in a few other ways: The interview with Cowabunga Corner and getting to visit with the ladies behind the show, art directing some of the Megaverse® in Flames art with Ben, Chuck and others as well as some ads, my call with Carl Gleba and reconnecting with a few other people. All I can say is that we are in overdrive here at Palladium Books. 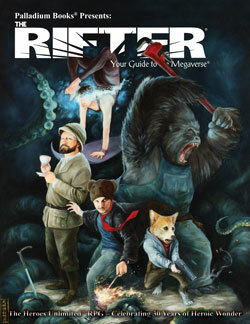 The Rifter® #66 is about people and exotic places. There are the space pirates of Phase World® and the Three Galaxies™; notable Rifts® Black Marketeers, some contraband goods and a Black Market trade town in Rifts® Black Market Part Two; the Splicers Ranger O.C.C. and a host of genetically manipulated creatures in The Splicers® Bestiary; the villainous Snake Men gang in a Heroes Unlimited™ adventure; and travel from Lazlo to Atlantis in the Rifts® short story. Plus news, coming attractions, and more. Every issue of The Rifter® is an idea factory for players and Game Masters to generate new ideas, and find new avenues of adventure. It provides useful, ready to go, source material you can just drop into your ongoing games. A doorway to new possibilities and numerous Palladium role-playing worlds. 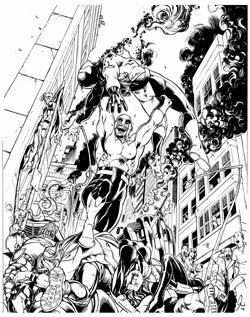 And the many new characters, O.C.C.s, powers, magic, weapons, villains, monsters, adventures and ideas for one setting can be easily adapted to any Palladium setting. Every issue has material for Rifts® and at least 2-3 other Palladium game lines. 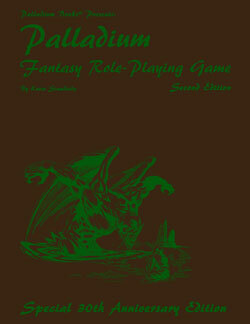 And don’t forget, most of the material can be easily adapted for use in ANY Palladium game setting. Heroes Unlimited™ – Bite of the Snake Men – Adventure by Glen Evans. Villainy, surprises and adventure. An HU2 adventure and a new batch of bad guys to battle. Rifts® – Black Market – Rise to Power, Part Two – by Max Kautsch. More source material on the Black Market and one Faction’s bid for power, including some Techno-Wizard contraband and a Black Market Town with notable shops and locations. Splicers® Bestiary – by Edward Sauerland. This is exactly what it sounds like – an array of gene-spliced monsters and creatures, plus the Splicers Ranger O.C.C., and all illustrated by Charles “Splicers” Walton. Rifts® Phase World®/Three Galaxies™: Space Pirates – by Braden Campbell. The title pretty much says it all: Space Pirates. What more do you need? Rifts® Short Story – Skipping Stones – by Brett Caron. The tale starts in the magical city of Lazlo, but takes a turn to Atlantis and the Splynn Dimensional Market where monsters, intrigue and adventure ensue. Heroes Unlimited cover by Amy L. Ashbaugh. 96 pages – $13.95 retail – Cat. No. 166. Available now. Please note the increased cover price. Shipping right now. Order yours today. 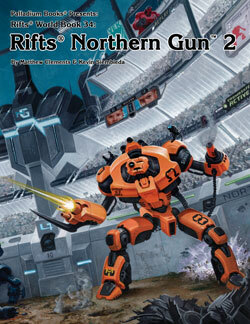 Rifts® Northern Gun™ Two is the biggest book of vehicles and equipment Palladium has ever produced. You get power armor galore, plus hovercycles, body armor, robot drones, amphibious vehicles, combat vehicles, ground vehicles, and other gear, plus gladiators of the Robodome and hints about things to come and NG’s relationship with the Coalition States. EXPANDED from 160 pages to 256 pages. Epic adventure. Available now. 10 robot drones and haulers. 30+ NG power armor suits; an expansive range. 30+ suits of M.D.C. body armor. 14 hovercycles and 8 motorcycles. 9 amphibious vehicles and watercraft. 6 military, armored combat vehicles. 4 aircraft and 4 jet packs. Miscellaneous combat gear and other equipment. The Robodome – Robot Gladiatorial Arena. Interior artwork by Walton, Bradshaw, Manning, Mumah and others. 256 pages – $26.95 retail – Cat. No. 888. Softcover available now. The special Megaverse Insider hardcover editions will ship around June 10. Insider PDFs should start shipping next week. Check out the FREE Sneak Preview #1 and Sneak Preview #2 on DriveThruRPG.com! HOT! Rifts® World Book 33: Northern Gun™ One – Available Now! If you are getting NG-2 you’ll want NG-1, even though both titles stand alone. 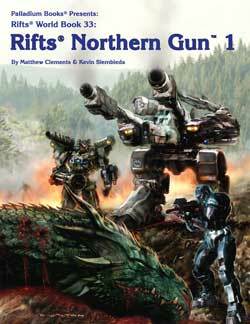 Rifts® Northern Gun™ One is the most tech-filled World Book Palladium has ever produced, and gamers are loving every page of new weapons, robots, power armor, vehicles and NG background. In-depth look at Northern Gun, its robots, stores, politics and operations. 70+ NG weapons; old and new. 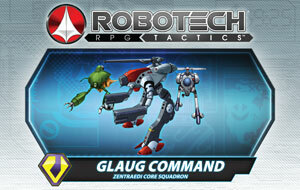 27 NG giant combat and exploration robots. Described in detail. 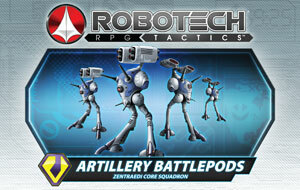 Many new robot weapon systems and features. Notable cities and people of the Ishpeming Republic/Northern Gun and much, much more. Written by Matthew Clements, Kevin Siembieda and others. 224 pages – $24.95 retail – Cat. No. 887 – Available NOW! Check out the new FREE Sneak Preview on DriveThruRPG.com! The Minion War spills across Rifts Earth, where demons and infernals hope to recruit allies and use the Rifts as gateways of destruction across the Megaverse. Their influence shakes things up all over the planet, especially at locations where demons and Deevils already have a strong presence. Demonic supernatural beings run rampant and wreak havoc across the world. Megaverse® in Flames™ is in final production and on schedule to ship in June. 192 pages – $24.95 retail – Cat. No. 876. Ships June, 2014. 48-64 pages – $12.95 retail (tentative) – Cat. No. 235. Ships June, 2014. In final development; page count and date of release yet to be determined. 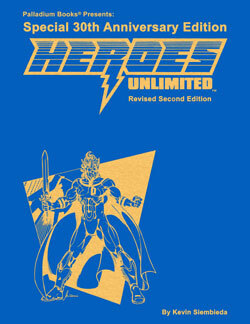 Half of the Heroes Unlimited™ RPG Hardcovers are already sold. ONLY 200 copies remain. This HU2 30th Anniversary Edition is visibly different (and cool) than the original hardcover and cannot be confused with the earlier printing. We have kept the price an unprecedented, low $40 for a hardcover Gold Edition of this size. We want to give Heroes Unlimited™ fans a crack at purchasing one before the price skyrockets on the secondary collectors’ market. The original HU2 hardcover sold for $50 and has since become a collector’s item that sells for $200-$350 on the secondary market. Enjoy and game on! Limited to 400 signed and numbered copies. Signed and numbered on the credits page by Kevin Siembieda and the Palladium staff. We’ll try to get an artist or two to sign as well. Blue fabric cover with gold foil imprinting. A completely new and different cover than the original HU2 Gold Edition. Interior pages are exactly the same as the original HU2 HC and the current softcover edition. Create any type of hero and superhuman – aliens and mutants to super-soldiers, martial artists, mages and Mega-Heroes. 100+ super abilities, plus scores of sub-powers. 100+ magic spells plus Enchanted (Magical) Weapons and Objects. Super-Vehicles, high-tech hardware, in-depth characters and more. Written by Kevin Siembieda. Cover art by Michael Wilson. 352 pages – ONLY $40 retail from Palladium Books only – Cat. No. 5000HC – available now, direct from Palladium Books. Sorry, this product is not available in stores. Note: The price is only $40 to celebrate the proud event of HU2's 30th Anniversary and make sure the hardcover is accessible to our core fan base. Enjoy. A complete role-playing game with many sourcebooks. Heroes Unlimited™ – celebrating 30 years of heroic adventure. Also available as a 352 page “softcover” edition – $26.95 retail – Cat. No. 500 – Available now. Instantly expand your playing experience with these and other HU2 sourcebooks. Villains Unlimited™ – 80+ villains, rules for creating secret organizations, gadgets, adventure ideas and more. Heroes Unlimited™ G.M.’s Guide – with 10 complete adventures, additional and optional rules, many random tables, 70 more magic spells, new vehicles and equipment, the law, G.M. tips and more. Powers Unlimited™ One – New powers galore! 120+ Minor Super Abilities, 45+ Major Abilities, 20 more psionic powers and more. Powers Unlimited™ Two – 11 new power categories and many sub-set types of heroes, symbiotes, weaknesses, and more. Powers Unlimited™ Three – 130 more new powers. ‘Nuff said. Heroes of the Megaverse® – A sourcebook that enables you to bring your heroes and supermen (and any of the HU2 sourcebook characters, powers and material) into the Rifts® and/or Phase World®/Three Galaxies™ settings, plus new powers, heroes, superhuman creation tables, and more. The Palladium Fantasy® Special 30th Anniversary Hardcover is selling even faster than the Heroes Unlimited hardcover. We sold 200 copies in half the time! Only 250 copies remain! This Palladium Fantasy® 30th Anniversary Edition is visibly different than the original hardcover and cannot be confused with the earlier printing. We have kept the price an unprecedented, low $40 for a hardcover Gold Edition of this size. We want to give Palladium Fantasy® fans a crack at purchasing one before the price skyrockets on the secondary collectors’ market. The original Crimson Edition sold for $50 and has since become a collector’s item that sells for $250-$400 on the secondary market. To preserve the value of the “original” Palladium Fantasy RPG® Crimson Edition Hardcover, we have made the 30th Anniversary Edition as visibly different looking on the outside as possible. The material used for the cover is a brown leatherette imprinted with “Elemental Green” foil, different art on the cover, and the words “Special 30th Anniversary Edition.” Even the spine is different looking and the end sheets are without artwork. All the elements described above should make the Palladium Fantasy RPG® 30th Anniversary Hardcover impossible to mistake for the original signed and numbered HC edition. Second Edition rules. Please note that this hardcover edition is the SECOND Edition rules, exactly the same as the current material in the softcover book. Enjoy and unleash those imaginations. Limited to 450 signed and numbered copies. Signed and numbered on the credits page by Kevin Siembieda and the Palladium staff. Brown leatherette cover with Elemental Green foil imprinting. A completely different cover than the original Crimson Edition. Interior pages are exactly the same as the current softcover. 30+ different Fantasy O.C.C.s – Mind Mage, Diabolist, Druid, Wizard, Palladin, Ranger, Thief, Assassin, and more. 60+ magic wards and 50 magic circles. Psionic abilities and psychic characters. Demons, magic items, weapons, world background and more. Written by Kevin Siembieda. Cover art is a Baal-Rog demon. 352 pages – ONLY $40 retail from Palladium Books only – Cat. No. 4500HC – available now! The price is only $40 to celebrate the proud event of Palladium Fantasy’s 30 years of continuous publication and to make sure the hardcover is accessible to our core fan base. Not available in stores. Palladium Fantasy® – celebrating 30 years of wonder. This is the original three Mechanoid Invasion® books published in 1981 and 1982 and first collected in one volume in 1998. The collection is back due to popular demand from YOU. It contains all the material that appeared in the original three Mechanoid Invasion® books plus some background history. 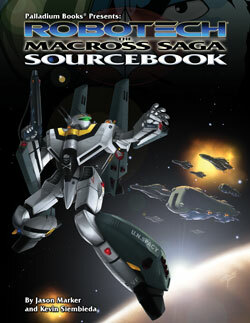 This is the game and sourcebooks that launched Palladium Books. The story of the Mechanoid Invasion® is a tragic one that spans the galaxy and generations of people. The Mechanoid Invasion® starts on a distant planet being colonized by humans, until the Mechanoids arrive. The seemingly alien mechanized monsters intend to strip the planet of all its resources and literally carve it up into pieces and haul it away. The loss of human lives means nothing to them. Indeed, the Mechanoids seem to delight in capturing, torturing and slaughtering what humans they can find. Can nothing stop the destruction? The Journey follows the story of human colonists from the doomed planet surviving by living between the walls and tunnels like rats on a ship. Homeworld carries our story to the Mechnoids’ homeworld in search of answers, but only more mystery, carnage and alien menaces await. All of the above are contained in this one, 208 page volume. Back in print because YOU demanded it. But this volume is also unique as it gives you a glimpse of Palladium Books from its very beginning. Enjoy. 29 Mechanoids and their robot minions. 18 human O.C.C.s including combat troops, psychics and others. 7 alien races including the insectoid Mechanoid allies, the Dionii. All kinds of energy weapons, combat armor, vehicles, spaceships and more. Suitable for other Palladium world settings. ALL characters, aliens, ships and gear can be dropped into Rifts®, Phase World®, The Three Galaxies™, Heroes Unlimited™ and other Palladium RPG settings with minimal conversions (i.e. turn S.D.C. for armor and weapons into M.D.C.). An S.D.C. setting that is easily converted to M.D.C. environments. 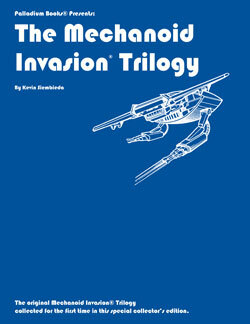 An 8½x11 softcover edition of the “collected” Mechanoid Invasion® Trilogy. Classic recreation of the original white and blue cover by Kevin Siembieda. Written and illustrated by Kevin Siembieda. Some additional art by William Messner-Loebs, Michael Gustovich, and James A. Osten. Maps by Erick Wujcik (as well as some additional text). 208 pages – $24.95 retail – Cat. No. 400. The first new printing in more than a decade. Available now! 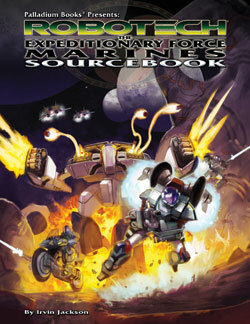 Robotech®: Expeditionary Force Marines is a sourcebook that we know will wow and please Robotech® fans. 160 pages – $20.95 retail – Cat. No. 553 – Summer release. Full color, softcover rule book; wraparound cover and lots of new, color artwork. Release Date: An exact date is yet to be determined; Summer 2014. Cat. No. 55201 – $36.95 retail. Note: Pricing and content may be subject to some minor changes, but that is NOT anticipated. Cat. No. 55202 – $32.95 retail. Note: Pricing and content may be subject to some minor changes, but that is NOT anticipated. Cat. No. 55203 – $32.95 retail. Note: Pricing and content may be subject to some minor changes, but that is NOT anticipated. Cat. No. 55401 – $36.95 retail. Note: Pricing and content may be subject to some minor changes, but that is NOT anticipated. Cat. No. 55402 – $36.95 retail. Note: Pricing and content may be subject to some minor changes, but that is NOT anticipated. Cat. No. 55403 – $36.95 retail. Note: Pricing and content may be subject to some minor changes, but that is NOT anticipated at this time. Gen Con Indy is going to be the premier convention event for Palladium Books this year. A large booth, special display, a ton of product including Robotech® RPG Tactics™, and all our role-playing games and sourcebooks, art prints, original art, and all kinds of good stuff. There will also be many Palladium creators available at the booth throughout the convention to chat and sign autographs, including writers Brandon Aten, Matthew Clements, Carl Gleba, Carmen Bellaire, Mark Oberle (tentative), me (Kevin Siembieda), Palladium staffers like Wayne Smith and Jeff Burke, and artists including Nick Bradshaw, Mike Leonard, Chuck Walton, and others. And it looks like there will be 50+ Palladium Books RPG events in the official Gen Con program. My heartfelt thanks to the Megaversal Ambassadors spearheading this project, as well as the Game Masters volunteering to run so many events for our many game lines. Awesome. 50+ RPG gaming events in a dedicated area. More than 3x the number of games ever at a Gen Con. Sign up when you can and make us look good. Large exhibitor booth and special display. 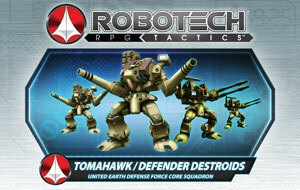 Robotech® RPG Tactics™ products and demos. Role-playing game products galore: Rifts®, Robotech®, Splicers®, Palladium Fantasy®, Heroes Unlimited™, Nightbane®, Dead Reign™, Beyond the Supernatural™, Ninjas and Superspies™, After the Bomb® and all the rest. Special edition books, prints and original artwork. Get autographs, chat and have a blast. Palladium creators already committed to appear: Kevin Siembieda, Wayne Smith (editor), Jeff Burke (artist & staffer), Chuck Walton (artist), Nick Bradshaw (artist), Mike Leonard (artist), Brandon Aten (writer), Matthew Clements (writer), Carl Gleba (writer), NMI (online admin and MA), Gary Miller (MA Coordinator and the Palladium Onsite Gaming Event Coordinator at Gen Con), and others may be added; subject to changes and addition. The 2015 Palladium Open House is officially on! This is an event unlike any you have ever experienced. It is more like a family reunion than a gaming convention, with incredible access to Palladium creators (artists, writers, editors, etc.). We hope to see many of you next May in 2015! More information will be posted soon, but start planning for it now and reserve your hotel rooms as soon as possible. $109.00 (plus tax) per room at the Comfort Inn, aka “Plymouth Clock Tower Hotel.” This is the hotel everyone knows and wants. You can start placing hotel reservations for the 2015 Palladium Open House right now, but make sure you tell them the Group Code “Palladium Books.” This is a must to get the superior group rate. That’s $109 (plus tax) for a room with two queen beds or one king with a sofa that has a pull-out sleeper. ALL rooms have a micro-fridge, FREE high-speed wired/wireless Internet and there is a FREE hot breakfast from 6 A.M. to 10 A.M. near the lobby. The hotel also offers a heated indoor swimming pool, a fitness center (24 hours), and a coin operated laundry. And the large conference room is ours to use, around the clock for open gaming. If you know you are coming to the 2015 Palladium Open House, we recommend you reserve your room as soon as possible to get this superior rate. Call 734-455-8100 to make your reservation. The hotel does NOT charge your credit card until a few days before the event (next year!) and you can cancel up until May 10, 2015. So there is no reason to wait. Get your room(s) reserved right away. More information about the 2015 Palladium Open House is coming soon. Game on!